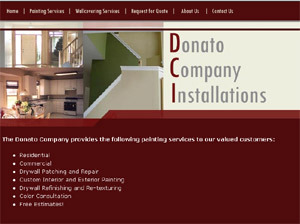 A site created for The Donato Company, a painting and wallcovering company. 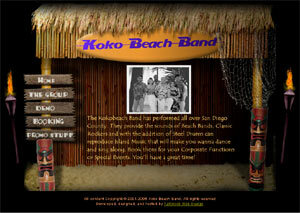 A work in progress and another band site. What can I say? I know a lot of musicians! 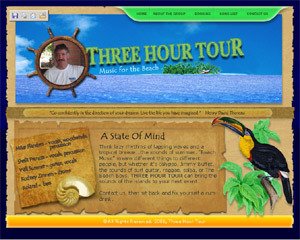 I'm kind of proud of the design on this one, especially the animated flames on the tiki torches. 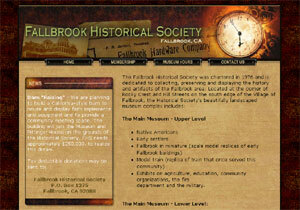 This site, as are most sites, is a work in progress and was donated by Fallbrook Web Design to to the Fallbrook Historical Society. 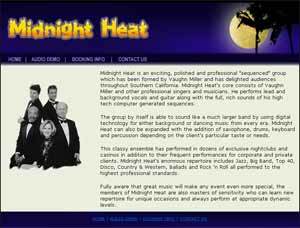 This site was created for the group Midnight Heat. 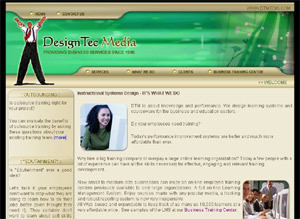 Fallbrook Web Design is quickly gaining a reputation among performing arts community for the development of quality websites on a budget. 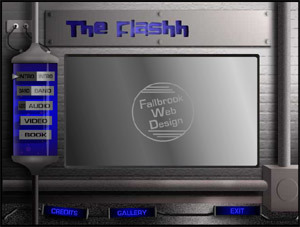 This is an interactive, high-tech, yet retro design made with Flash. It is still a work in progress but I'm excited about the design so I thought I would include it here. 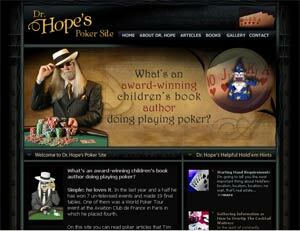 This site was created for Dr. Hope, a world class poker player and an award-winning author of children's books. It's a fun site. Check it out. 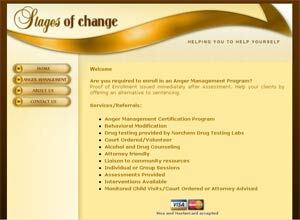 Stages of Change offers family, addiction, and behavior modification counseling. 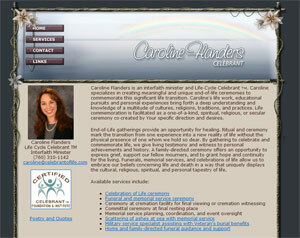 Celebrant of Life creates meaningful and unique end-of-life ceremonies to commemorate this significant transition. 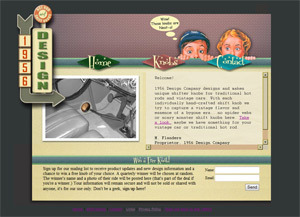 1942 Design Company. 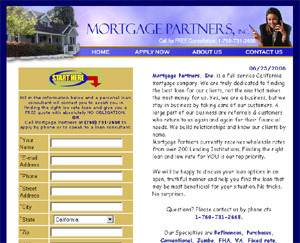 I love designing retro looking sites. 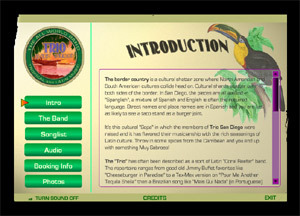 Here's a WWII themed site I created for my hot rod shift knob business. 1954 Design Company. 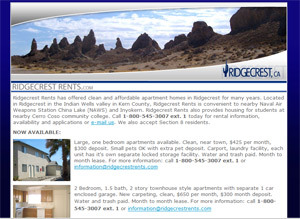 Here's a 1950's version of the 1942 site. I can't decide which I like better so I guess I'll keep both of them.